Long time no post! I'll try to get back to being more regular about posting. It's been a rough summer personally, so I haven't been putting work up here. Which means I have a nice build up of projects that I haven't shared yet, so stay tuned! To start it off again, I am sharing one of my favorite projects that I did over the summer. 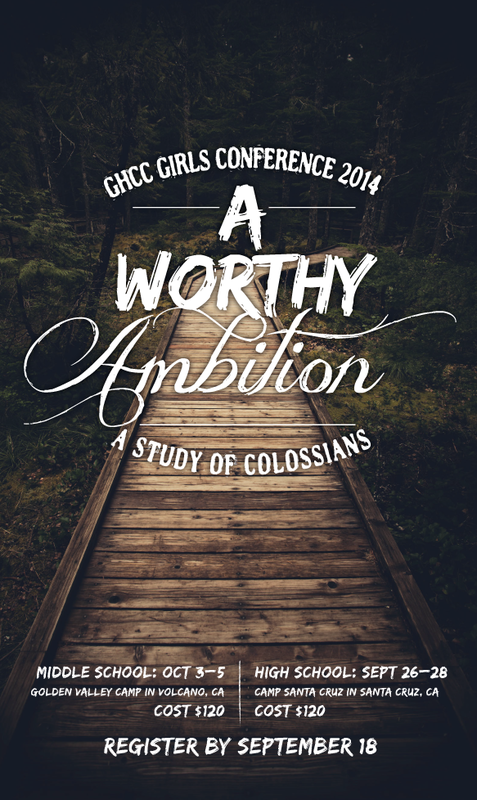 Here is the poster for the recent GHCC Girls' Conferences. 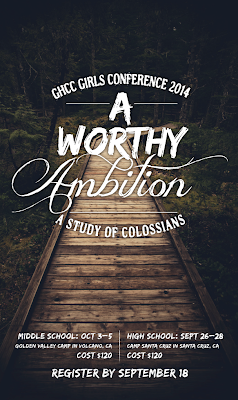 The theme was A Worthy Ambition.